Southwest Companion Pass allows a companion to fly with you for free on unlimited Southwest flights. Learn how it works and how to get it fast. Did you know that Southwest Airlines is ranked as one of the best US airlines in 2018? 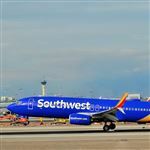 Besides the cheap flights and superior customer service, Southwest offers one of the best travel deals around - the Southwest Companion Pass. If you can get it, a friend can fly with you for (almost) free for up to 2 years. That's an amazing deal. Read on to learn exactly how the Companion Pass works and how to get it. What Is the Southwest Companion Pass? The Southwest Companion Pass allows a companion to fly with you for free on unlimited Southwest flights for the rest of the year PLUS the entire next year. All you need to pay are taxes and fees ($5.60 each way for domestic flights). Earning 110,000 qualifying points in a calendar year. Don't worry, if you're not a frequent flyer, you don't need to actually take 100 flights in a year. We'll show you how to fast-track your way to earning enough points for the pass. Once you meet the threshold, you'll earn the Companion Pass for the rest of the year, plus the entire following year. It's an incredibly sweet 2-for-1 deal if used correctly. You will not lose the 110,000 points once you earn the Companion Pass. Southwest flies to over 99 destinations, including 40 states. An exciting piece of news is that Southwest will be operating flights from the mainland US (California initially) to the Hawaiian Islands by early 2019. You can check Southwest flight routing here. Besides US destinations (including Puerto Rico & Hawaii), Southwest has scheduled flights to the Caribbean, Costa Rica, Cuba, and Mexico. Aim on securing the Companion Pass as early as possible in the calendar year. If you get the Companion Pass in January 2019, it's valid all the way until December 2020 (23 months). If you get the Companion Pass in December 2018, it's only valid until December 2019 (12 months). So you want to be very strategic about when your points post. You want the points to post in January, which means doing most of the spending the month before, except for a hundred dollars or so. This is important! Once January rolls around, simply spend the remaining amount needed to get to 110,000 points. If you can get it in January, that means you can secure almost 2 years' worth of buy-one-get-one flights. Now let's go over how to get enough points for the pass. Here's how you can achieve Companion Pass status. Don't worry, you don't need to take 100 flights. The easiest and fastest way to earn points for the Companion Pass is through Southwest co-branded credit cards. Southwest Rapid Rewards Plus lets you earn 40,000 points after you spend $1,000 on purchases in the first 3 months. This card earns 3,000 bonus points after your Cardmember anniversary. You earn 2 points per dollar spent on Southwest purchases and Rapid Rewards hotel and car rental partner purchases. 1 point per dollar spent on all other purchases. There is a $69 annual fee. Southwest Credit Card lets you earn 40,000 points after you spend $1,000 on purchases in the first 3 months. This card earns 6,000 bonus points after your Cardmember anniversary. You earn 2 points per dollar spent on Southwest purchases and Rapid Rewards hotel and car rental partner purchases. 1 point per dollar spent on all other purchases. There is no foreign transaction fee. There is a $99 annual fee. Business owners can also opt for: Southwest Business Credit Card lets you earn 60,000 points after you spend $3,000 on purchases in the first 3 months your account is open. This card offers 6,000 bonus points after your Cardmember anniversary. This card earns 2 points per $1 spent on Southwest® purchases and Rapid Rewards® Hotel and Car Rental Partner purchases. 1 point per $1 spent on all other purchases. There are no foreign transaction fees. There is a $99 annual fee. Meet the minimum spend requirement and you'll receive a nice jump-start on points. Points earned on the cards through everyday spending all count towards the Companion Pass too. Note: Chase does not allow you to have 2 personal Southwest credit cards. However, they do allow you to have one personal and one business card. So you can get both the Southwest Rapid Rewards Premier Personal and the Premier Business Card. Just make sure to space out your applications by a few weeks or months so you can get approved for both. And be careful of Chase's 5/24 rule. If you've opened more than 5 credit cards within the past 2 years, there is a strong possibility you will be declined. Book flights on Southwest and earn points based on the cost of your ticket. You just need to be a Rapid Rewards member. You can book with whichever credit card you have on hand. How many points you earn depends on the level of the flight. Southwest has an impressive online shopping portal that gives you great bonuses. You can earn 2-6X the points depending on the bonuses being offered by each store. All you have to do is click their affiliate links and make your purchase like you normally would. By no means should you attempt to collect 110,000 points just by using the portal alone, but it is an effective way to top off your account. The Southwest Dining program gives you points for eating out at partner restaurants. You can get up to 3 points per dollar spent at eligible restaurants. Note that only dining points count towards Companion Pass. Unfortunately, sign-on bonus points (usually 1,000 points within the first 3 months) will not count. You can also earn your way towards Companion Status by booking Southwest partner hotels and rental cars. Hotels: Book hotel stays on southwesthotels.com to earn up to 10,000 Southwest points. You can also book with a partner hotel (like Best Western, Radisson, Hyatt, Marriott, SPG and more) and earn up to 600 points per stay. If you book via southwest.com, you receive an extra 150 points per stay. Rentals/Transport: For car rentals, Southwest has partnerships with Alamo, Avis, Budget, Dollar, Hertz, National, Payless, and Thrifty. You can earn 600 points per booking. Booking airport transfers through SuperShuttle/ExecuCar are also attractive at 300 points for a round-trip reservation. Once you are an official Companion Pass holder, it's time to start booking flights! When booking a flight for your companion, you do NOT buy their flight when you book yours. You don't buy their ticket like a normal passenger. Instead, book only your flight (either with points or cash). Then you can add your companion online or by phone. To do so online, go to the "My Trips" tab in your Southwest account. 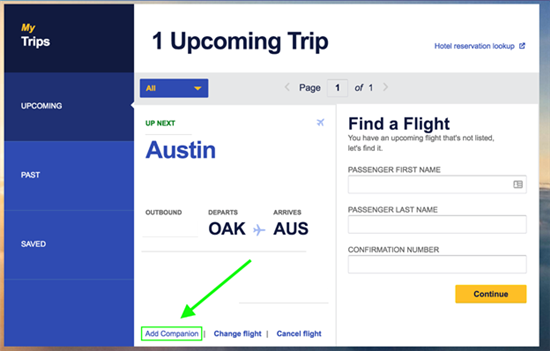 Click on your upcoming flight and you'll see "Add Companion" under your flight details. Click "Add Companion" and you'll be taken to a Trip & Price Details page. If a seat is available (in any fare category), you'll see the flight itinerary pop out and the total amount of taxes and fees to be paid. The only stipulation is that you must travel together. A lesser-known hack towards practically free flights is having your companion book your flight (in your name) using points from their own account. Then you can go into your account and add your companion. You will get two separate confirmation numbers: one each for the pass holder and companion. Technically this also means that you need to check in separately. The same goes for any cancellation or changes to your travel plans. Take the extra minute and check both reservations to make sure they correspond to each other. 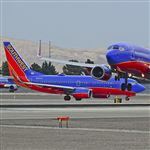 Should your travel plans change, Southwest's flexible policies stand out from its competitors. There's no fee to cancel or change - and your companion can be removed from upcoming flights reservations without any hassle! How Many Companions Can You Have? You can only list 1 person at a time as your companion. However, you're not stuck with this person. Southwest allows you to change your companion 3 times per calendar year, after your initial designation. Every time you add a new person or revert back to someone you already listed, it counts toward your limit of 3, so use them wisely! Technically, this means you could have up to 7 different people travel with you over 2 years. You first name a companion online when you obtain the Companion Pass. You're allowed 3 changes that calendar year (for a total of 4 different people). You're allowed 3 more changes the next calendar year (for a total of 7 different people). To change your companion pass designation, you must call 1-800-435-9792. You are sent a physical card in the mail each time and you must bring it with you when you travel. Also, remember that you can't book a flight with a new companion until you've completed all flights with your current companion. The Southwest Companion Pass is truly one of the best airline travel deals. It's great for families and couples that travel together frequently throughout North America. There are a lot of ways to earn the required points without having to fly a lot. 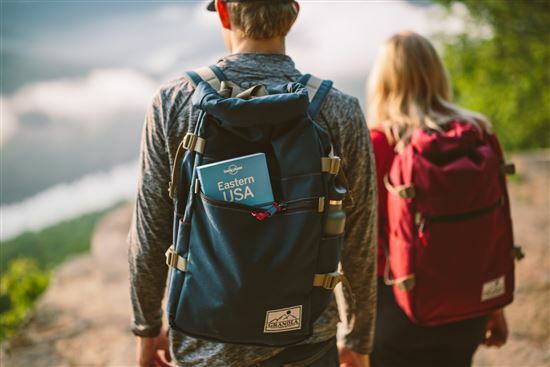 The best way to fast-track your way to the coveted pass is by getting the Southwest co-branded credit cards and obtaining the sign-up bonus. Also remember to plan strategically, so that you can obtain the pass as early in the year as possible. Disclaimer: The information for the Southwest Rapid Rewards Premier Business Credit Card, Southwest Rapid Rewards Premier Credit Card, and Southwest Rapid Rewards Plus Credit Card has been collected independently by CreditDonkey. The card details on this page have not been reviewed or provided by the card issuer. Finding the best priced airfare can be a stressful task – especially when you're trying to stick to a strict travel budget. Thankfully, there are some tips you can follow to cut down on the financial investment of your next flight.